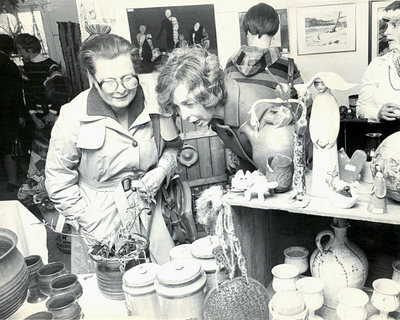 Black and white photograph: 2 ladies looking at pottery at art exhibition. 1 of the ladies wears an expression of awe. 4 people standing in background. Date unknown.